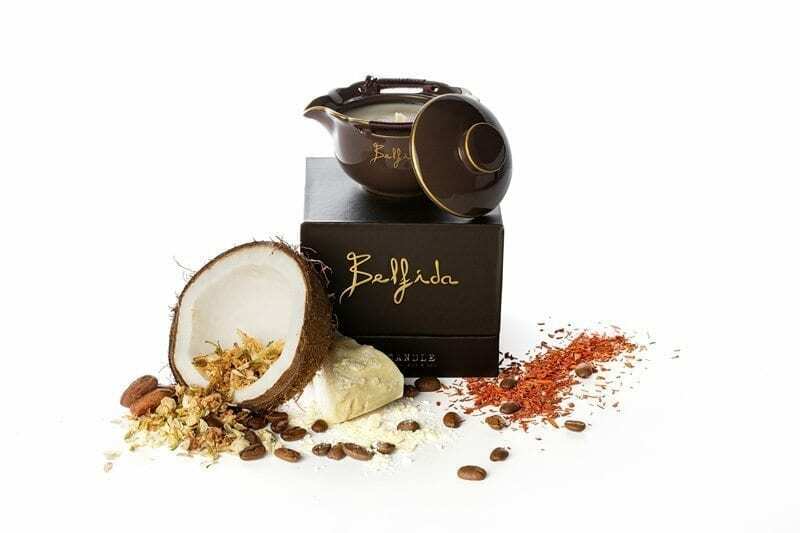 Designed using the purest natural ingredients including raw cacao butter, shea butter, soy wax, cocos and almond oil, this luxurious well-being & skinfood treatment – which acts as a deep penetrating moisturizer – is packed full of skin smoothing omegas, vitamins and minerals and is the ultimate way to soften, smooth and soothe both body and soul. Each of the ingredients have been carefully chosen for their incredible skin healing properties. 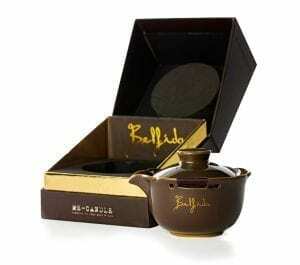 BELFIDA combines the top of the line natural ingredients with the opulence and luminosity of cosmetic gold. 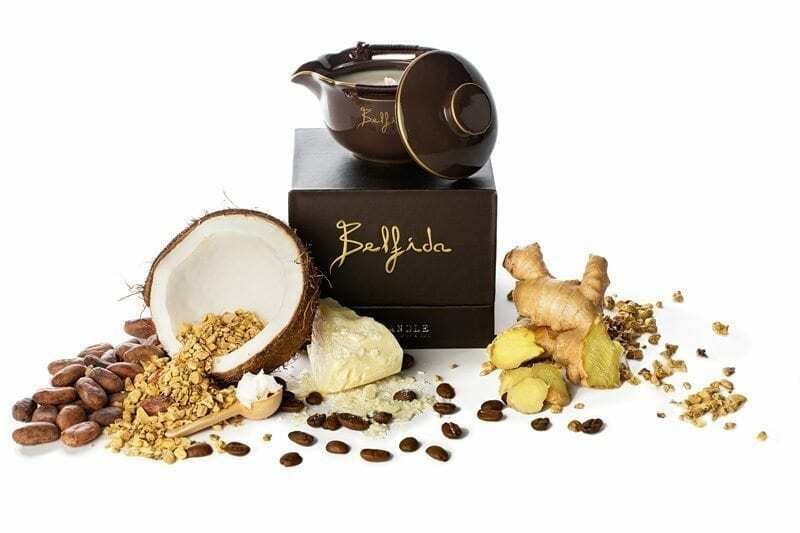 Combining ancient heritage and the old age beliefs that cosmetic gold has to offer, makes of each BELFIDA ME-CANDLE an extremely luxury well-being & skinfood treatment with amazing results. Light the wick and once melted, simply pour the delicate warm oil, which of the melting point is just a few degrees above body temperature, directly onto your skin to nourish, soften and hydrate, while the beautiful natural fragrance of pure essential oils engage the senses and leaves your skin beautifully scented. 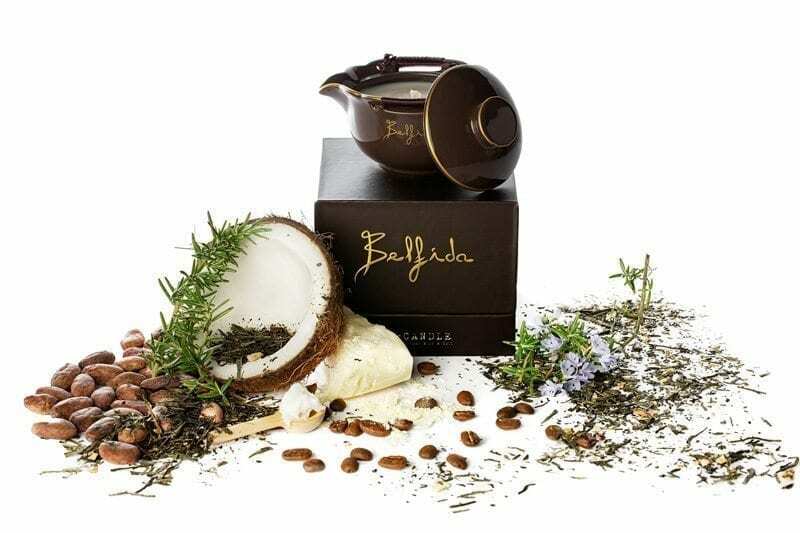 The highest quality of pure essential oils and the use of traditional artisan techniques of blending are used to create the three product themes within the BELFIDA ME-CANDLE COLLECTION. Relaxing, sensual and stimulating. Ideal for a loving well-being and skinfood treatment that stimulates body and mind. The sweet, sultry and soft sensual touch of the oil turns each skinfood treatment into a warm delight for all senses. Ideal for moments of inner harmony and general well-being. Also surprising as sensual massage candle for you and your beloved one. For moments of lightness, purity and carelessness. Purifying covers either tranquillity: ideal to blow away of all the daily grind and to give yourself a sense of deep relaxation and to enjoy a good night’s sleep after all. Either extra vitality: to give new energy to body and mind. Ideal if you like to kick-start your day with an happy mood, for a night out or for activities that require a lot of concentration. For a direct therapeutic treatment with a soothing, relieving and caring effect. Therapeutic covers either muscle pain relieve & after sport, either deep relaxation & de-stress. The extremely refined blend of essential oils, that has been composed thoughtfully and very functionally, emphasize the therapeutic effects of aromatherapy.